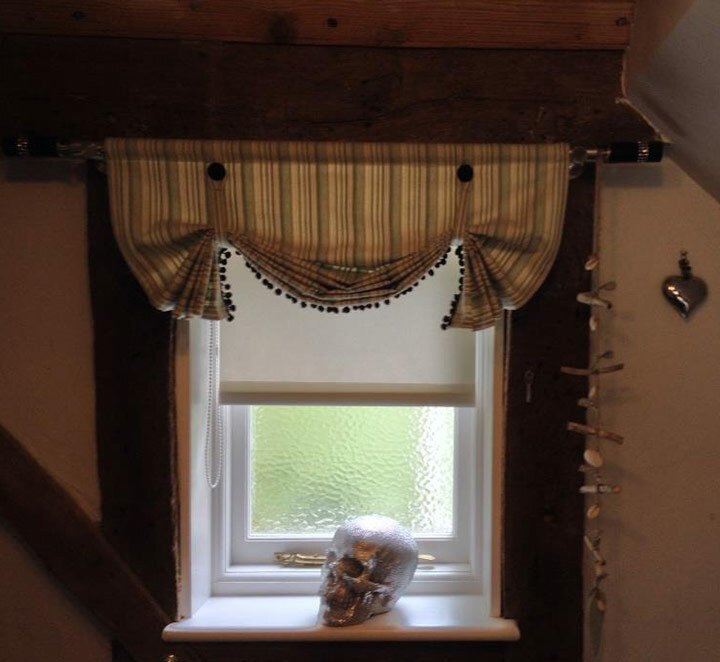 Valances and pelmets of all shapes and designs tailored to your needs. Swags and Tails either in a traditional style or with a contemporary hint making them an option in any home. 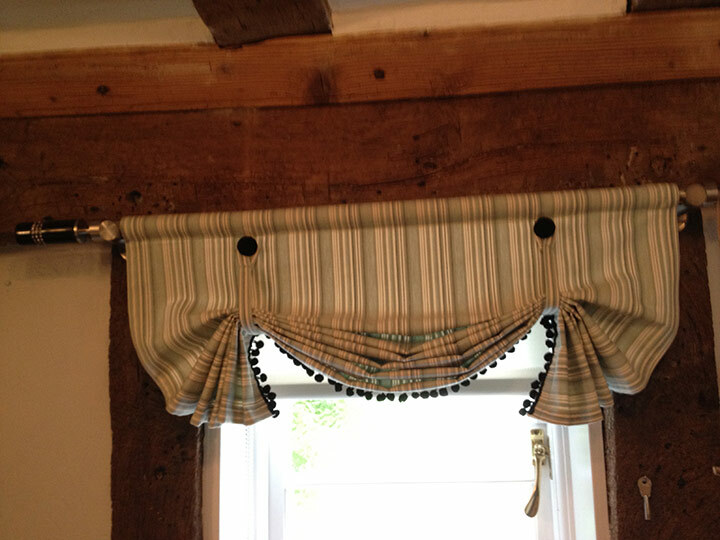 A soft valance can be made with a variation of headings; a soft gathered heading or yoked valance. A yoke valance has a flat stiffened section at the top of the valance with either a pleated or gathered skirt. The hem can be straight, arched or serpentine; the yoke when piped has a very neat finish. Hand pleated valances offer more styles, as they are tailored and structured; they can be French, or double pleats, goblet, and single and double box pleats. Again the hem can be straight or shaped, with a scalloped shaped hem providing another style option. The hem line rises up at the pleat point then falls in a curve in between the pleats. Additional embellishment can be added with fringing, frills or buttons; knotted rope can also be added at the base point of the pleat. The valance is attached to a curved or straight pelmet board, valance track or double track, to cover the curtain heading. A traditional hard fixed pelmet can be made in any shape or size. 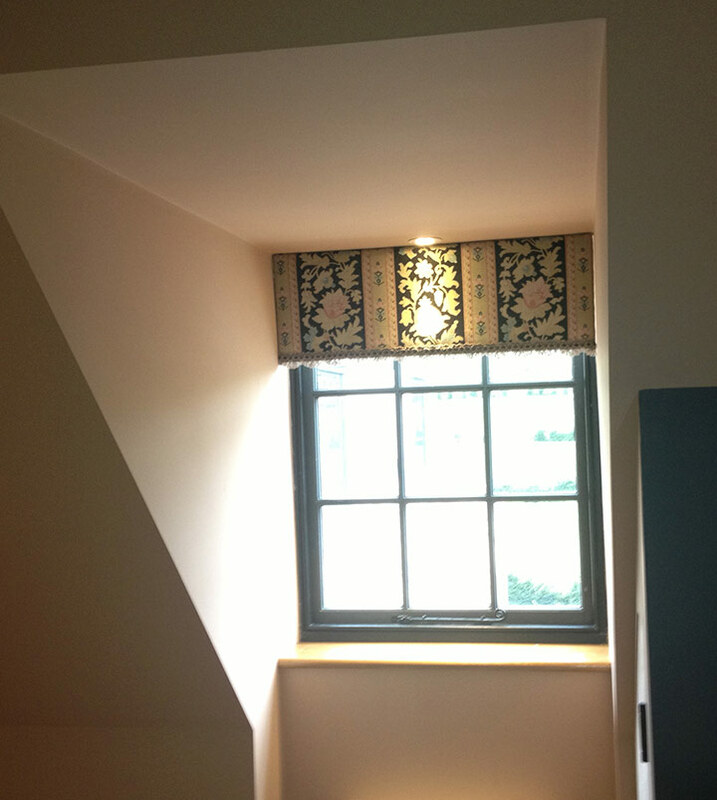 Pelmets can be padded or quilted to give a softer look; they are particularly useful for filling excess space above the window, whilst also giving the illusion that the window is larger than it is. If the space above the window is to small, then avoid pelmets as they will either block out too much light, or look frugal if not deep enough. 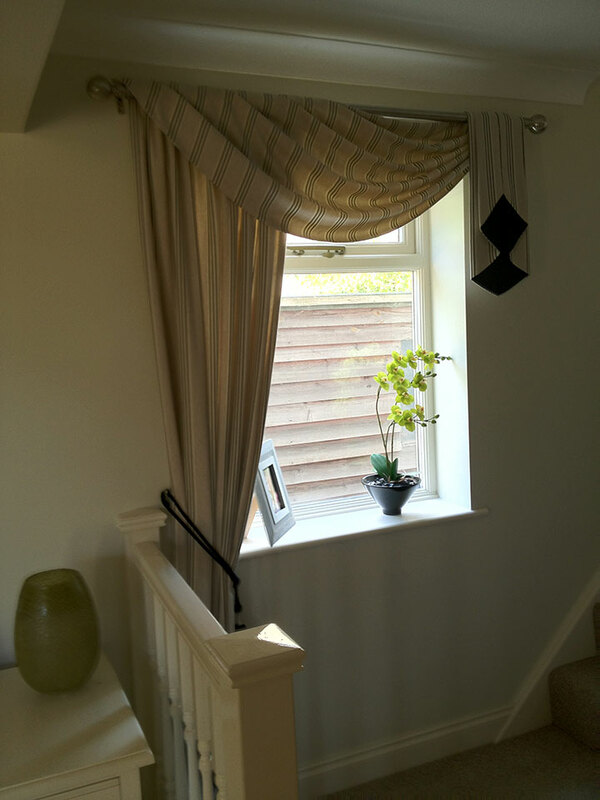 As well as enhancing the shape, size, and look of your window, the pelmet also hides the track and top of your curtains or blind, meaning you can often opt for a simpler heading. This traditional window dressing never fails to add an air of opulence to a room. Usually associated with grand ballrooms or elegant drawing rooms, swags and tails have a stately reputation; but they can work just as well in less formal surroundings. Vast variations in depth and size, and a wealth of fringing and trimmings mean they can beautifully complement a modern property, with a mix of contemporary and vintage. The swags and tails can be loosely draped over poles to give the appearance of one long length of fabric, or neatly fitted to pelmet boards. The fabric when plain, and cut on the cross, will drape into folds naturally. Pattern fabrics are best cut on the straight to work the fabric to its best, so the draping is a little more structured but equally as effective. Tails can match or complement the swags and be all one colour, or have a reverse colour way bringing out accent colours in your design. 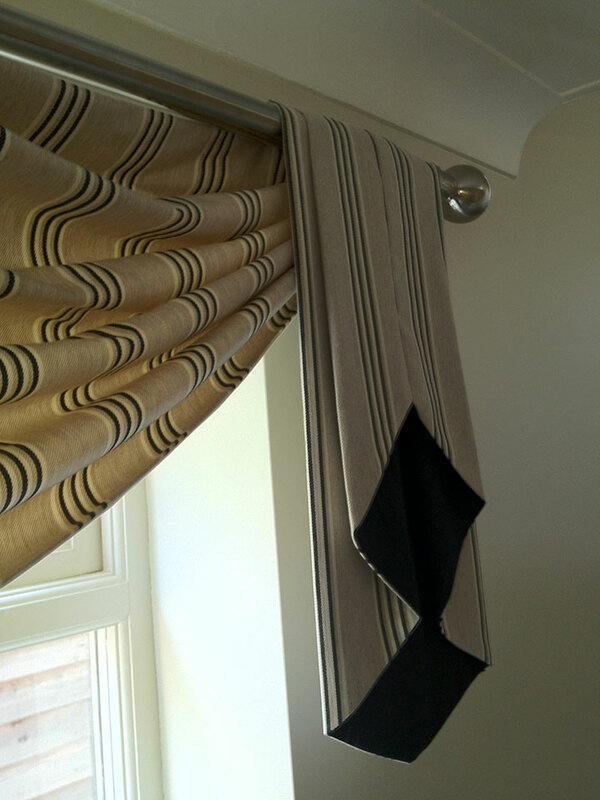 A soft draping style blind with simple tie bands and button fastening detail.